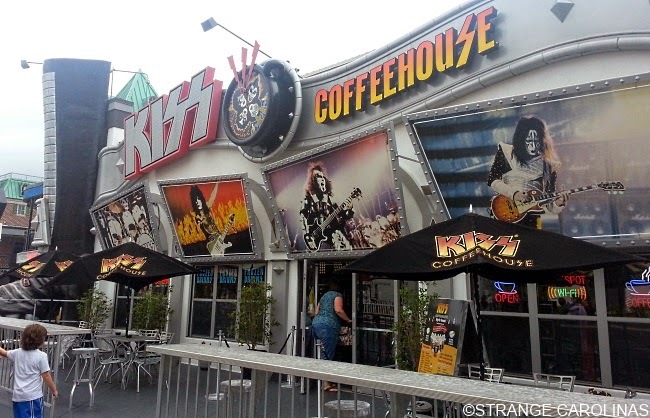 If there's a rock 'n' roll heaven, hopefully they're serving Kiss Coffee because this joint has been replaced by the Rooster Bar & Grill. But that doesn't mean it doesn't deserve a spot in Strange Carolinas. It really shouldn't surprise anyone that such a place existed, given the band's proclivity to slap their name on anything, even coffins, to make a buck. 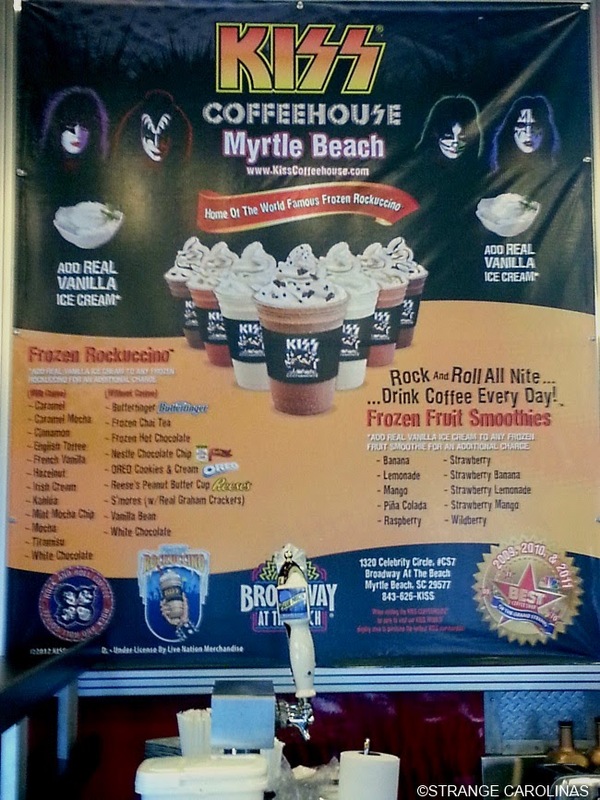 Kiss Coffehouse opened on June 27, 2006 in the Broadway At The Beach shopping/entertainment/nightlife center in Myrtle Beach, SC. 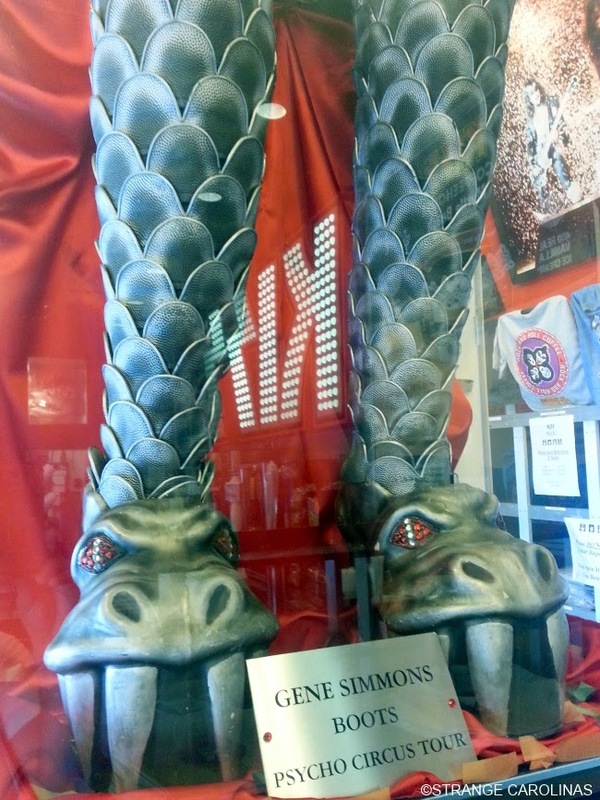 Even Gene Simmons and Paul Stanley showed up for the opening festivities! 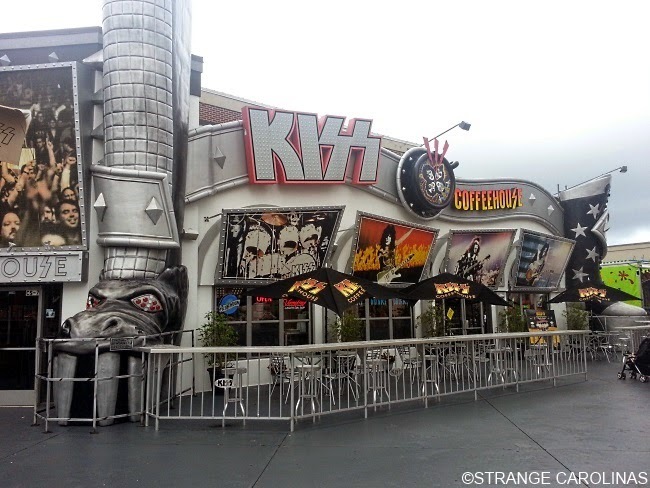 KISS Coffehouse shut its doors on December 31, 2013. 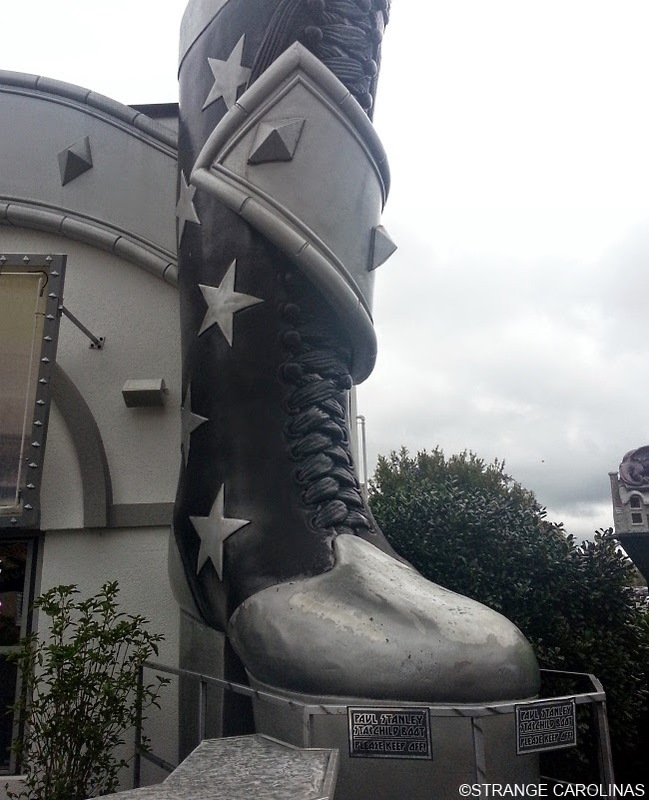 All in all, it was a great place. 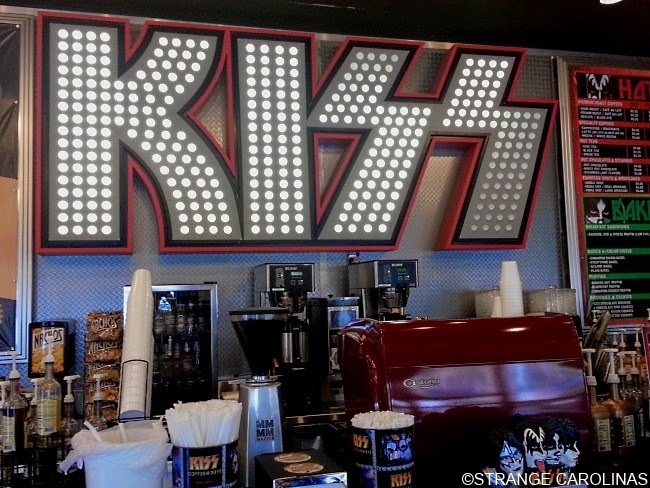 The coffee was fairly decent, but the real draw was the spectacularly gaudy storefront and the KISS memorabilia inside the store. 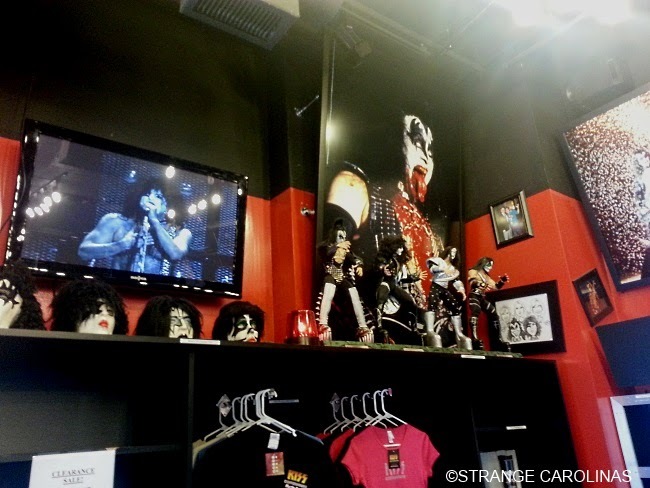 If you would like to know more about the KISS Coffehouse, check out KISS Asylum's exposé on the closing of the store, the store's owners, and their plans for the future. Phone: None. It's closed for good. Hours: Seriously. It's not there anymore! Cost: Free because it no longer exists. But feel free to slip us a few bucks if you have money to burn.